Sometimes the small details are just as impressive as the larger landscapes. 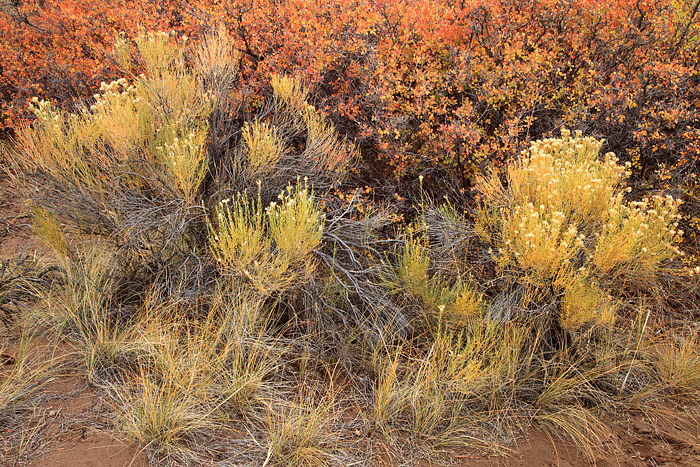 While the actual Sand Dunes get most of the attention at Great Sand Dunes National Monument, the grasses and scrub oak along Medano Creek give up some hidden gems during Autumn. Photo © copyright by Thomas Mangan.